Central Road was not constructed until 1912 and was built to join Middle Street, at its junction with Station Road (now Old Station Road), with Earle Street in order to make a more direct link from the Yeovil Town Railway Station, just off the bottom right hand corner of the map below, to roads going north from the town - the Ilchester Road and Mudford Road. 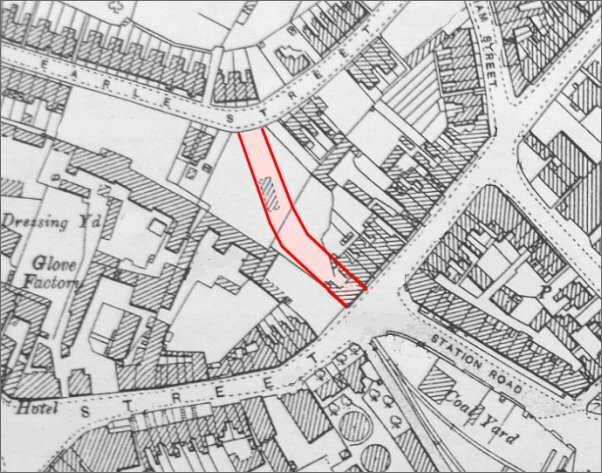 Although apparently cutting a swathe through the centre of the town, the building of the new road actually meant the destruction of very few properties - in fact, just the Railway Inn in Middle Street, facing Station Road. The Railway Inn was rebuilt on the southwestern corner of Central Road, on the site now occupied by the William Dampier. This map, based on the 1912 Ordnance Survey, shows just how few properties were affected by the new road - overlaid in pink. Unusually, the sole victim of 'progress' in this case was the Railway Inn facing Station Road. 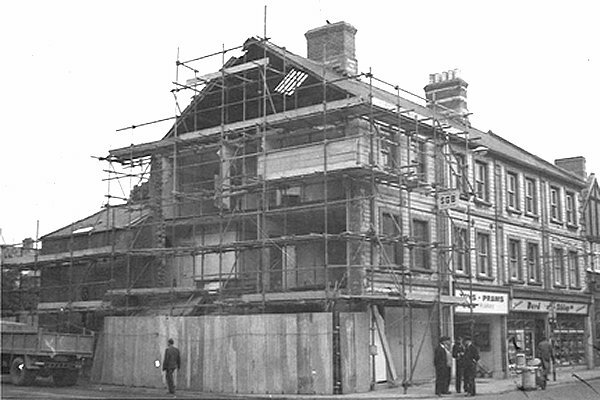 This photograph was taken on 2 October 1961 and shows renovation works being carried out to Lloyds bank by Chris' father's building firm, BNA Shoemark of Montacute. The Lloyd's Bank building at right is now a Kebab shop. 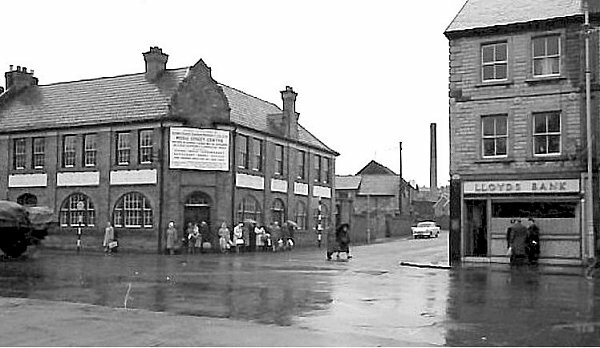 This view of Central Road shows the second version of the Railway Inn, by this time in the early 1960's closed and boarded up. To the rear of the Railway Inn was Whitby’s Glove factory and Shillabeer's builders yard and offices. 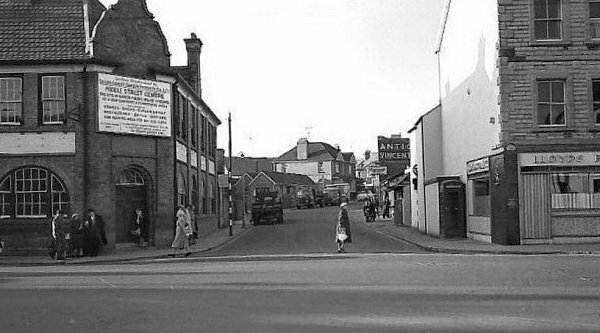 ... and looking directly along Central Road, again photographed in the early 1960s. 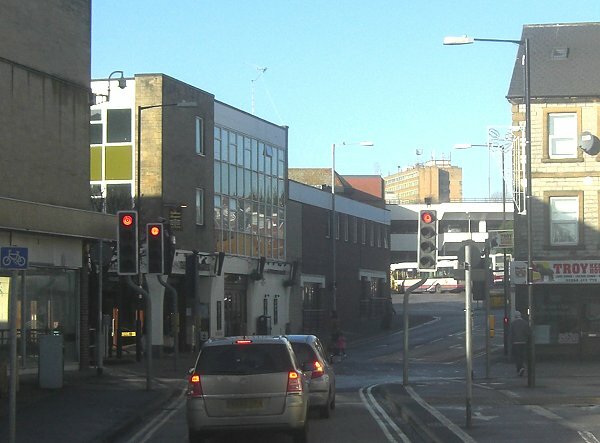 Central Road at its junction with Middle Street. Photographed in 2014.